We welcome all groups, including school tours, senior outings and family reunions of 10 or more. On Mondays and Tuesdays from Labor Day through Memorial Day, Top of the World is open by appointment only for groups of 50 or more. Call today for more information, group rates or to schedule your private tour at the TOP! To download a group tour reservation form, click here.  Contact Top of the World for the most current tours and packages. Call 410-837-8439 or email Amy Carrick at acarrick@promotionandarts.org for more information.